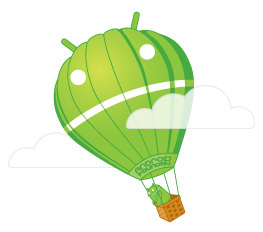 In 2008 artist and tech addict Andrew Bell got his first look at Google’s upcoming AndroidTM project. A year later he teamed up with some friends at Google to develop an officially licensed collectible mini figure version of their Android mascot to help promote the fledgling brand. No one knew how people would take to a collectible toy, based on an unproven mobile operating system, produced by a search engine company… but it turns out that people love it as much as we do (and some of you more!). It’s our goal to create high quality and entertaining designs featuring our favorite robot friend. We’ll have lots of desktop wallpapers, stickers, shirts, accessories, contests, giveaways and more! Thanks for visiting. Android is a trademark of Google Inc. AndroidFoundry is created and produced by Dead Zebra Inc. Unlike the official collectibles, AndroidFoundry goods are not endorsed by Google Inc nor is AndroidFoundry a subsidiary of Google Inc. Portions of these pages & products contain modifications of work created & shared by Google used according to terms described in the Creative Commons 3.0 Attribution License.